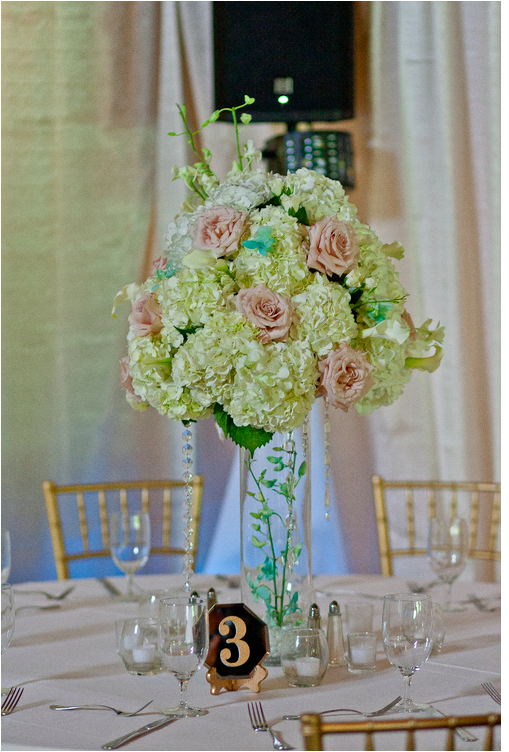 The stunning Sophia loves Callas, Hydrangeas, and Peonies! 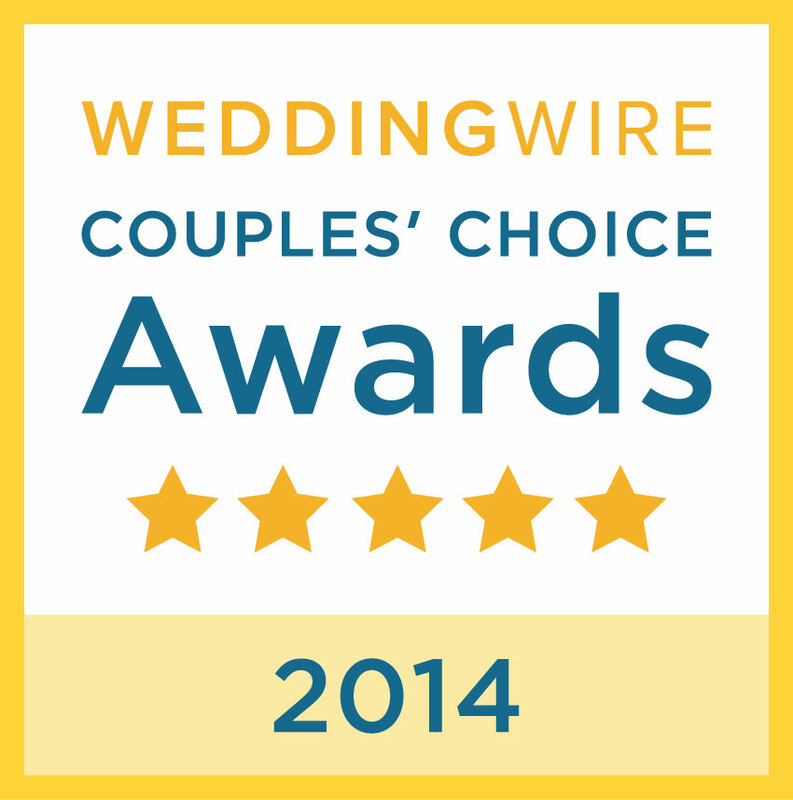 Look at this gorgeous bouquet! 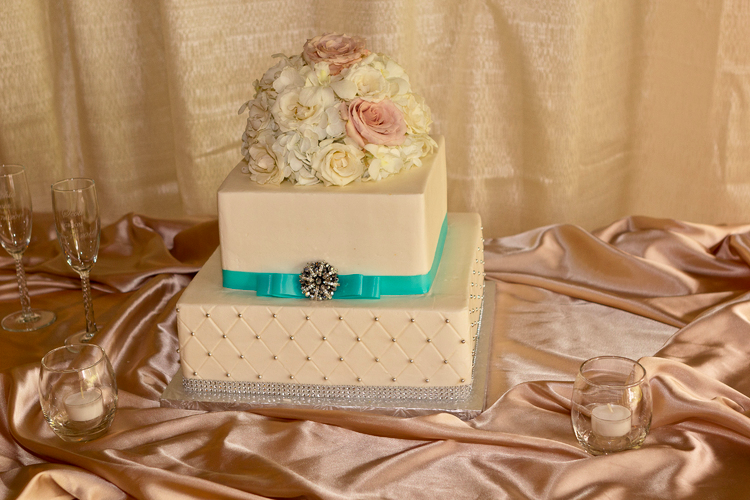 The happy couple held their ceremony at the Monarch Tower with a fabulous reception at the Pineisle Center Ballroom at Lake Lanier Islands Resort. 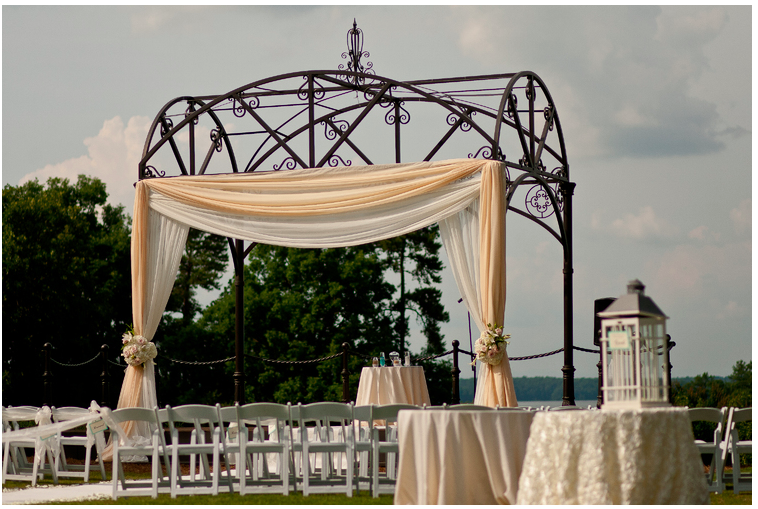 We also loved designing the curtain style drapery with matching floral clusters on each side. 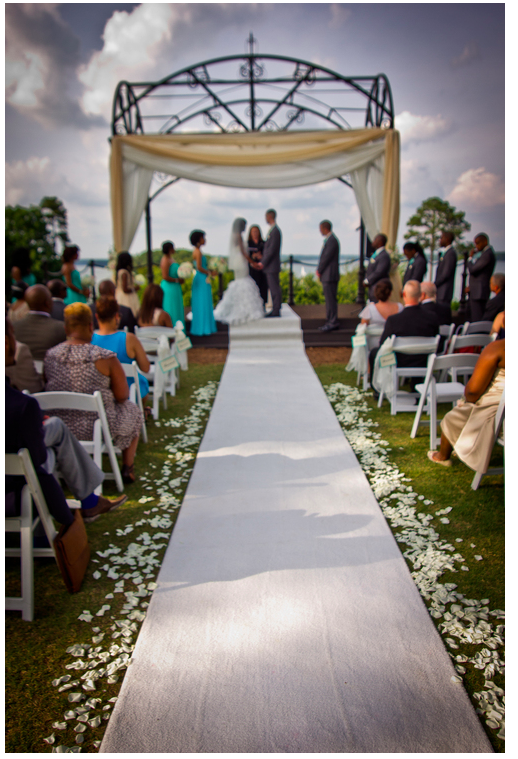 Thick layers of ivory petals accented the center aisle. 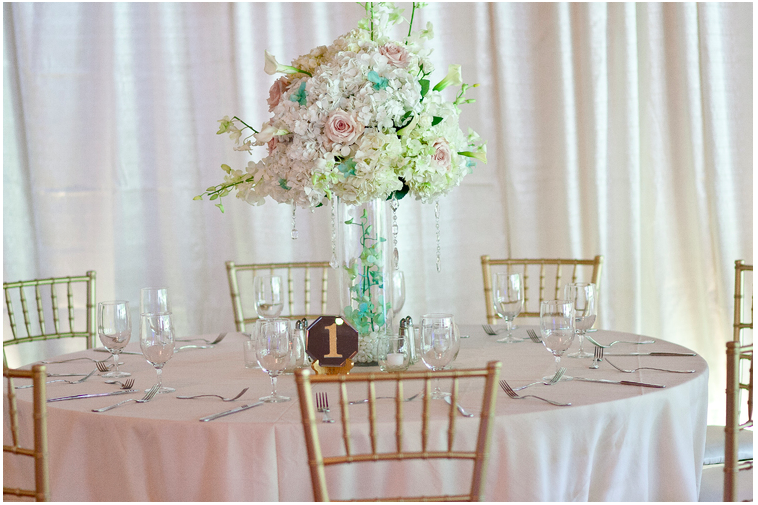 Elegant and so very romantic, the Design House staff created tall elegant centerpieces with ivory hydrangeas, orchids, mini callas and champagne roses for the reception guest tables. Thank you to Korede Akinbami for these lovely photos.